3. 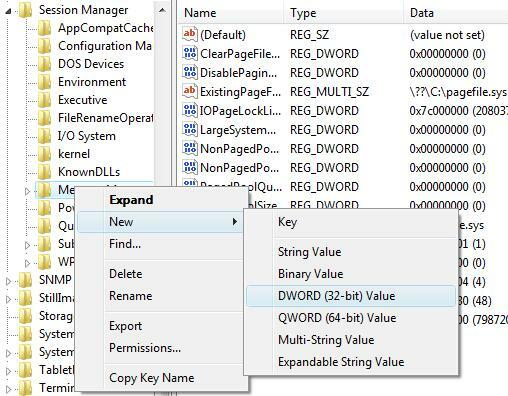 On the Edit menu, point to New, and then click DWORD (32 Bit) Value. 4. Type PoolUsageMaximum as the entry name, and then press ENTER. 6. Click Decimal. ? In the Value data box, type 60, and then click OK.
7. 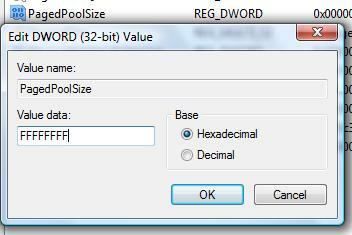 Create another DWORD (32 Bit) value named PagedPoolSize . If this entry already exists then modify its value as described below. 10. 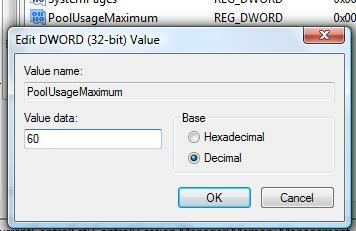 Click Hexadecimal. In the Value data box, type a value of FFFFFFFF, and then click OK.
11. Finally, Reboot and attempt to create another image.